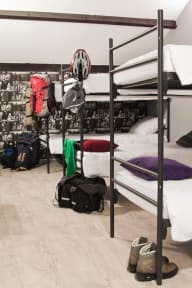 Kings Inn City Hostel i Alkmaar, Nederländerna : Boka nu! Each room sleeps between 4 and 6 people in bunk-style beds. Some of our rooms are also available as a private twin room. 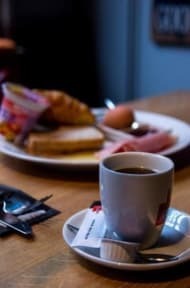 Of course there is a communal area for guests to read, work, relax or make use of our free WiFi. Our cosy bar / restaurant serves affordable meals for lunch and dinner and has a selection of beers, wines, soft drinks, coffees and teas. We aim to be a place where people come to relax, connect, and use as a starting point for everything the city of Alkmaar has to offer. Bike rental: € 10,00 for one day we've also a bike storage place. Credit, Debit & Cash all accepted upon arrival.